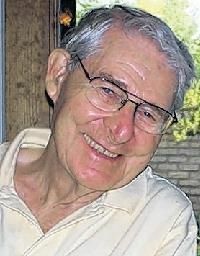 HORKEY, Francis L. 88, of Tucson, AZ died on November 14, 2018. He was preceded in death by his wife of 47 years, Angela M. Horkey. He is survived by his son, Greg (Phaedra), and their children, Addison and Avery. His memory will be cherished by many. The wake will be Sunday, November 18, 2018 at 5:00 p.m. followed by the Rosary at 6:00 p.m. at BRINGS BROADWAY CHAPEL. Funeral Mass Monday, November 19, 2018 at 10:30 at St. Cyril's Church.